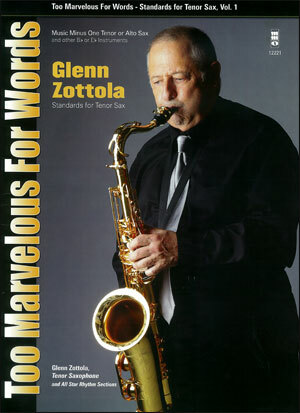 In his career, Glenn Zottola has been best known as a brilliant and swinging trumpeter who occasionally doubles effectively on Alto Sax. 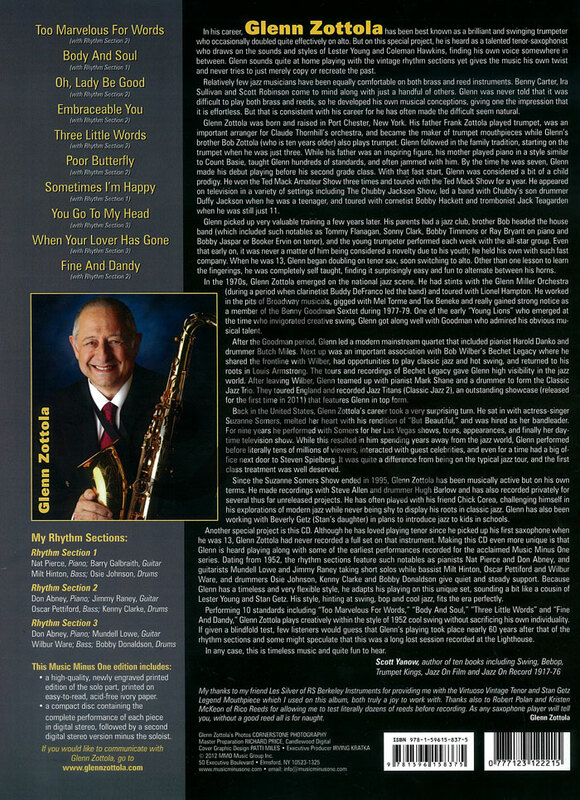 But on this special project, he is heard as a talented tenor saxophonist who draws on the sounds and styles of Lester Young and Coleman Hawkins, finding his own voice somewhere in between. 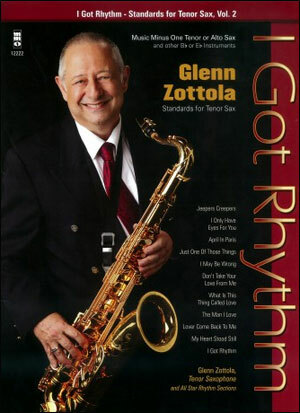 Glenn sounds quite at home playing with the vintage rhythm sections yet give the music his own twist and never tries to just merely copy or recreate the past. The icing on the cake is the fact that we've transposed Glenn's every note enabling the at-home player to study and emulate these improvised solos. 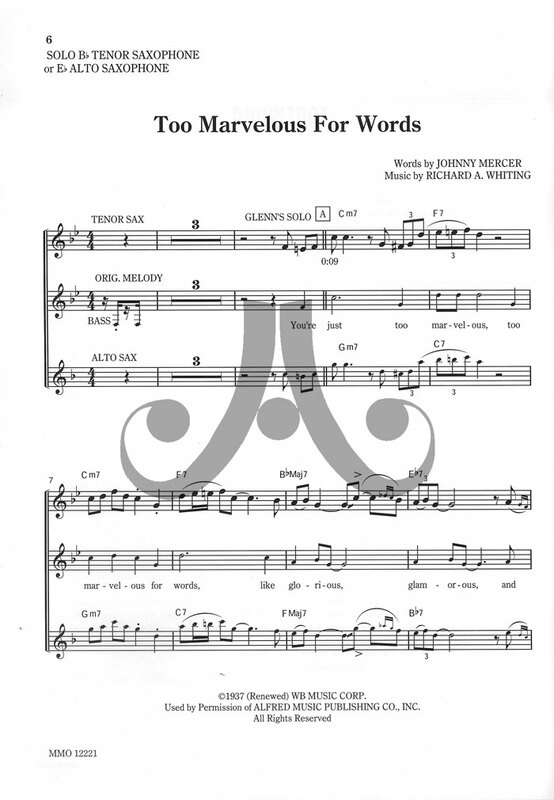 The sheet music also contains the original melody line of these classic standards, plus chords and an alto sax part, so that both Bb and Eb saxes can play this album with equal enjoyment. The songs in this album are among the greatest standards of our times and the three rhythm sections feature truly all-star legendary players of the first rank in jazz.